The Nintendo Wii TV Channels guide? Yes its true. Your favorite furniture damaging, window breaking console now has its own TV shows guide application. Its a simple TV guide showing on your Wii of future and current shows. 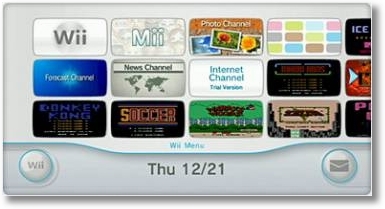 The TV Program Schedule Channel appears to just be an application designed to get people staying on their Wii even when its TV time. Wii Users will be able to rate favorite shows, share shows with their friends, and tag their favorite programs and receive email or text alerts when the shows about to begin. And obviously, the infamous Wii remote is now used as a universal remote controller. You will be able to use the controller to change channels, adjust volume and switch between TV shows and the Wii TV Guide Channel. It involves some Techno wizardry involving the sensor bar. This seeminly irrelevant creation is currently only available in Japan. So it wont be long.. Build your own DIY Projection TV – How cool is that? Have you ever wanted a to turn your little piddly 14″ TV into a supersonic beast of audio visual ecstasy? OK i am getting a little carried away, but did you know that by using a few basic items and a little jiggery pokery, you can quite easily project your little tv or even PC onto your wall in massive proportions. Dont peek into your neighbours house again green with envy looking at that beast hung on his wall again! 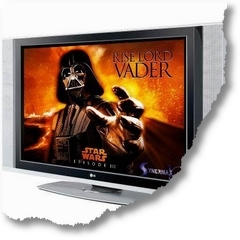 you can now have your own BIG SCREEN TV by converting your little tv to BIG TV and this really works. And importantly it will not damage your existing tv or computer monitor athough you will have to turn your tv upside down. Ive seen one of these in action and i gotta say that the picture quality is a perfect copy. Blinkx the Video search engine website has signed a deal with the mighty BBC and its iPlayer service. This will provide Blinkx viewers with the BBC online video on demand service and access to the latest BBC TV programs and footage. The service will provide a preview of the programme to viewers before they use BBC iPlayer’s download or live streaming service to view it. 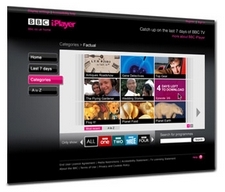 BBC’s iPlayer TV and Radio player shows BBC content on demand and is a free seven day catch up service. It enables viewers to stream and download any BBC programs. Its service also offers the option to watch live streaming tv on the PC, Mac and Linux platforms. After downloading the content users have to watch the programs within a 30 day period. Blinkx will catalogue and index all BBC iPlayer content to make it easier for their audience to search video and TV clips.say that a range of BBC programmes, which include comedy, drama and sports sourced from the many BBC TV channels. The BBC has also struck deals to show its TV show clips to Yahoo and MSN as well as Blinkx. The only downside is viewers will only see clips of BBC programs and will need to visit the BBC site to view full content and of course the BBC only allow UK residents to view their content. Time to get the IP changing software out and become a UK resident. netmoviedownloads Review, Read this before buying!! Netmoviedownloads Review, How good is it? Net Movie Downloads Movie downloads site, and of course TV shows, games, music and much more is a very user friendly Website thats easy to navigate which makes the entire downloading experience much nicer. The very important download speed is faster than pretty much any other website. Its important that any problems or questions are answered promptly and on this score the customer service is prompt and satisfactory. 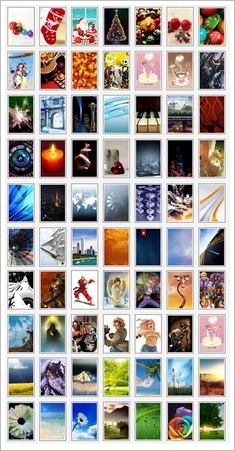 It shows that they are very experienced in the Movie downloading game.What about the selection of downloads? On offer from netmoviedownloads is a very large and importantly ‘up to date’ choice of movies, games, mp3’s and TV shows for you to choose from. Whilst on test i was able to find pretty much all the latest and newly released titles that i searched for and even some yet to be released movies! There is the option of a 1 year or 2 year membership options available and it could be argued that its a little more than the competition, however if you opt for the lifetime subscription it works out cheaper than other choices and i would say is the best value for money movie download site around. Net Movie Downloads website has a huge number of included freebies included and you can find, download and burn all the latest movie releases using the software included within the members area of NetMovieDownloads. * Online demo available – to watch the on-line demo, follow the ‘View Demo’ link. * Full money back guarantee if not totally happy. Sometimes its a pain watching the latest movies or your favorite tv shows on your 12 inch laptop screen. Sometimes you want that big screen effect. And also the sound systems on PC’s are pretty lame compared to the high end TV surround sound setups. Well dont worry, you dont have to watch your tv, movie streams or downloaded video on your pc screen. You can hook up your computer to a television and watch the video streams with that movie style big screen effect. So what you need to do is run a cable from the TV outport on your pc. Look at the back of your PC or sometimes down the side of your laptop or notebook for a S-Video port, pictured on the right. (If your PC doesnt have one the you may need to purchase a video cards with an S-Video port. These are commonly available for well under $100.) Next, check your TV inputs. Most TV’s have an S-Video port in which case you will need a S-Video to S-Video cable. If it doesnt then a S-Video to RCA cable or S-Video to Scart will work. Connect the computer to the television with the cable. With some PC’s you can right click your mouse on the desktop screen, highlight the ‘Settings’ tab, you will then see a grayed out monitor to the right hand side if you have S-video output. Click on the grayed out monitor and check the ‘Extend Windows desktop onto this monitor’ and your done! If you now scroll off your mouse pointer to the right, the mouse will show up on the Television screen. Then start up your Media Player and drag it across to the right onto your TV screen. 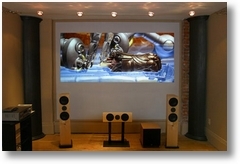 Sound will still be routed thro your PC speakers, but you can watch it in big screen. For the sound It is pretty simple to get stereo to play by using a stereo to RCA cable or a Y jack. You will find that most notebooks and laptops now have a function key that changes the video output options. Its pretty simple and if you press the function key ( normally labelled Fn ) and then press the Fkey with a computer icon next to a TV or it may be signified by CRT/LCD. Anyways when you find it just keep pressing and it will cycle between dual s-video and laptop output, press it a second time and it outputs via the s-video, it will then cycle back to laptop output. This makes changing output very easy peasy. 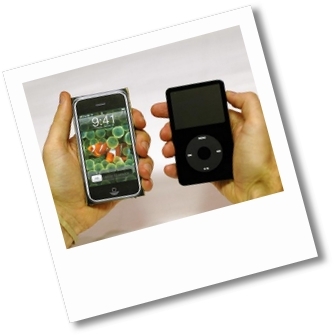 Good news if you own an Apple device such as an iphone or ipod and like watching Apple movies. To promote its movie business Apple are now offering Weekend Movie Picks on its iTunes website. Apple are now offering its ipod movies on a special price of 99 cents which is a massive $3 off the usual rental fee. A new movie will become available at the special price every Thursday, good until the following Monday. Once rented, you will have the standard 30 days to watch it in a 24-hour time period. Amazon did something similar when it debuted Unbox, which is an Internet video on demand service (but only available only in the U.S.) It was launched in September 2006 and is compatible with Windows or a TiVo DVR, whilst the iTunes movie rentals can be downloaded using your Mac or Windows computer, or even downloaded to the AppleTV. They haven’t got a great movie selection similar to Netflix, but it is as good as Unbox and the various video on demand services that are offered by cable and satellite companies. It will probably improve over time as they build up their library. One good thing the AppleTV has going for them is its user interface is so much easier to use than the VOD menus. To save space on your podcast, a good tip would be to add shows to your favourites rather than downloading a show directly to the AppleTV hard drive. When you want to watch a video podcast, click on My Favourites to see what’s new and choose the show you want to watch. One thing that is lacking is that there is no indication of which shows you have watched and which ones you haven’t seen. It’s also difficult to manage subscriptions from the AppleTV. At least with movie rentals, I don’t have to worry about knowing how to delete video podcasts downloaded directly to the set-top box.